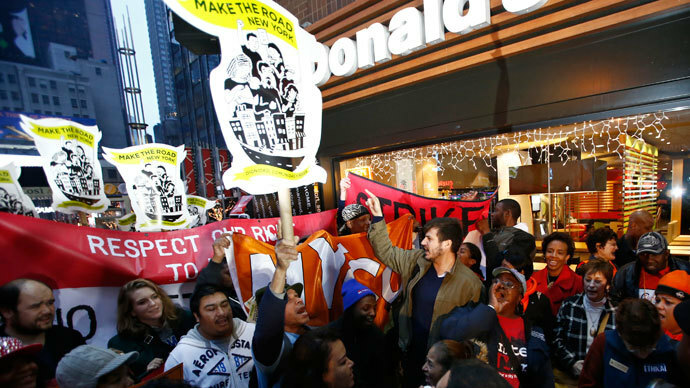 Expressing concern over employees’ health has backfired on the world’s leading fast food producer, McDonald’s. 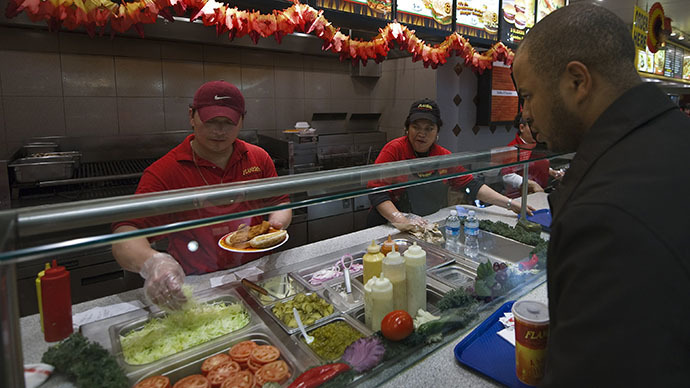 Its own employee resources website recommended workers to avoid burgers and fries whenever possible due to health risks. 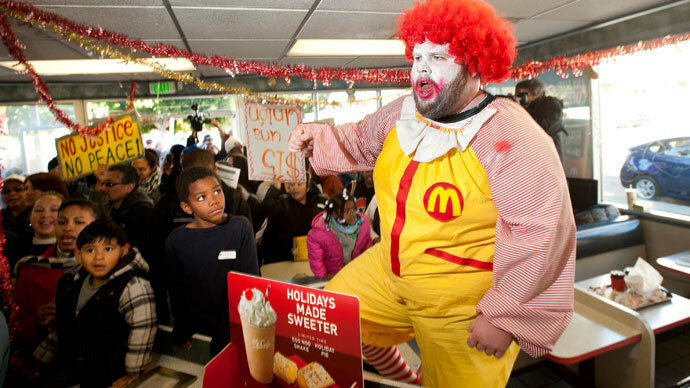 The McResource site, notorious for giving advice on how to make ends meet working for $7.25 an hour at McDonald’s, has cooked up another gem: the folks preparing and serving McDonald’s food should actually avoid eating it themselves – because it is unhealthy. To illustrate the difference between ‘unhealthy choice’ and the ‘healthier choice’, the website of the food chain that employs some 700,000 people worldwide, for some reason countered graphics depicting a typical McDonald’s meal with graphics very much resembling a meal at the company’s major competitor, Subway: a sandwich with salad and a glass of water. “Fast foods are quick, reasonably priced, and readily available alternatives to home cooking. While convenient and economical for a busy lifestyle, fast foods are typically high in calories, fat, saturated fat, sugar, and salt and may put people at risk of becoming overweight,” the site said. “Although not impossible it is more of a challenge to eat healthy when going to a fast food place. 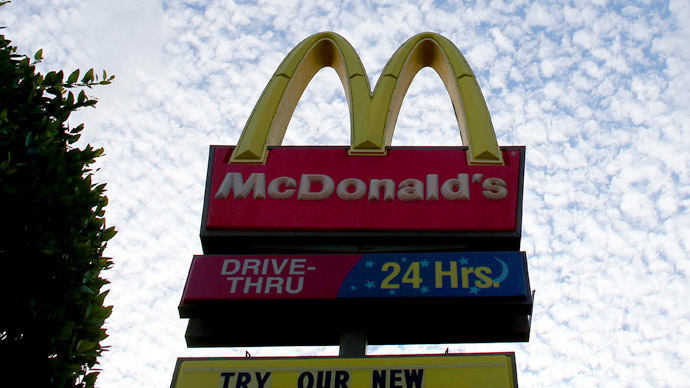 In general, avoiding items that are deep fried are your best bet,” McDonald’s revealed. 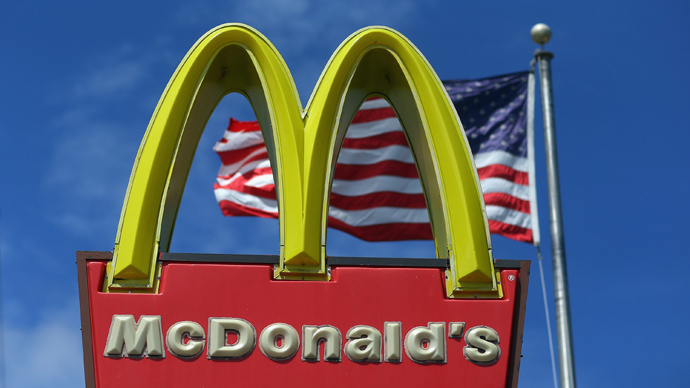 Even though a spokesperson for McDonald’s, Lisa McComb, told CNBC that the data from the corporate website web site “does not advise against fast food”, the McResource site has already made way too many controversial remarks lately. 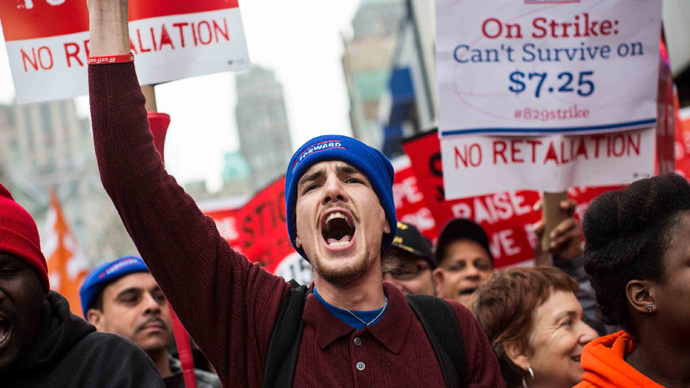 Just a couple of weeks ago fast-food workers in over 100 American cities walked off the job, demanding a $15 federal minimum wage, a two-fold rise from the current level. 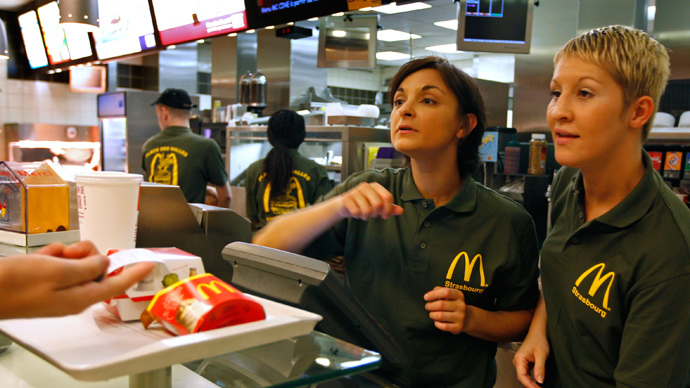 At the very same time McDonald’s corporate website generously shared with its employees some nuances on how to tip dog walkers, house keepers, massage therapists, personal fitness instructors, pool cleaners, au pairs and other services they are definitely unlikely to make use of ever. In October McDonald’s workers unable to pay their bills or stay above the poverty line were advised to find help from food pantries or enlist in government benefit programs, instead of seeking higher wages (http://rt.com/usa/mcdonalds-help-broke-food-stamps-649/). As of now the McResource Line site is closed for maintenance. “We are temporarily performing some maintenance in order to provide you with the best experience possible,” the announcement says.